Home Obituaries & Death Notices FOSTER, Ken A. 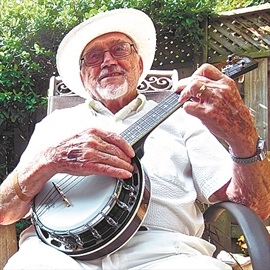 FOSTER, Ken A. January 11, 1929 - December 12, 2018 Ken, a longtime Burlington, Ontario resident, passed away peacefully in his sleep at his home on Vancouver Island, British Columbia. Ken was a Renaissance man - an educator, athlete, coach, musician, craftsman, and humorist. His most recent teaching service was with the Halton and Peel public school boards, the first as principal, the latter as superintendent. His most enduring athletic affiliations were with the Toronto Argonauts, McMaster University Marauders, and the Hamilton Tiger Cats, early on as a player and later as team videographer. Ken's passing is a sad loss to his wife Judy and their two children Kevin (Danielle) and Shannon (Jonathan). Ken was a wonderful Poppa to his grandchildren Angus, Coen, Polly, Camden, and Vaughn. He will also be missed by his daughters Diane and Melanie. Cremation has taken place. Ceremony did not appeal to Ken. According to his wishes, friends and family in Ontario will be invited at a later date for an informal gathering to celebrate his life. There will surely be fish frying, a banjo playing, and readings from the "Old Boys" joke books, compiled by Ken for his breakfast buddies. Special thank you to the nursing staff with the Comox Valley Community Health Services for their supportive care and consideration which was integral in allowing Ken to remain in the comfort of his home. WE ARE PROUD OF THE THINGS YOU WERE.